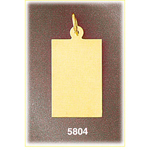 For a look that will never go out of style this 14k gold customizable laser engravable rectangular charm is a must have. 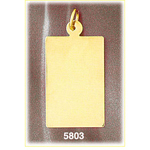 clean lines and a brilliant high gloss finish makes this 14k gold engravable charm super stylish. 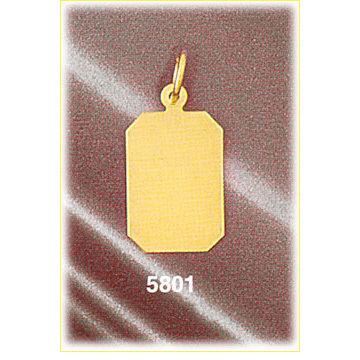 Take the look to the next level by choosing to have your rectangle charm customized with your choice of laser engraved lettering and an eye catching birthstone setting. 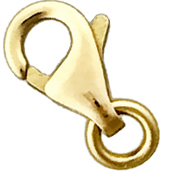 Charm is crafted in 14k yellow gold featuring a polished finish with flat back, it measures approximately (12mm - 1/2") in width by (17mm - 5/8") in height and weighs 1.9 grams, it is a good size for charm bracelet or on a necklace. I am 38 weeks pregnant and I ordered a custom charm for the father of my baby. 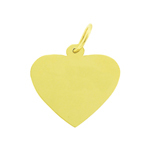 I was super pleased with the service I got from Elie in emails discussing what I was looking for. Today I got the custom piece I ordered and I was so happy I cried....pregnant, remember! :) I am waiting until the day I give birth to give it to him, but I am dying with anticipation because I know he we love it. Thank you so much for fulfilling my request exactly as I hoped. Thanks a ton! It means the world to me!